You probably don't realize just how good the Brewers have been so far this season. Here’s a trivia question that sounds as if it should be easy: Who currently leads the National League in Baseball-Reference’s version of wins above replacement? Hint: It’s not Bryce Harper or Joey Votto or Paul Goldschmidt, all of whom are off to uncharacteristically slow starts. It’s not Nolan Arenado or Charlie Blackmon. It’s not Kris Bryant or Freddie Freeman. It’s not early-season sensations A.J. Pollock (now injured) or Odubel Herrera. 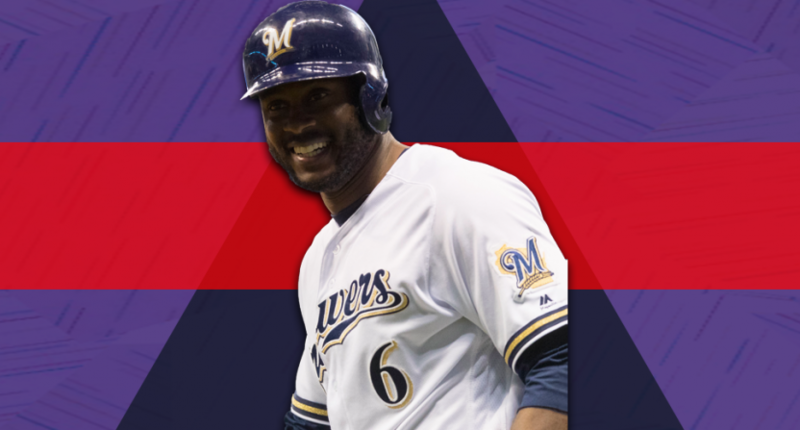 It is, as you might have guessed based on the headline of this post, Milwaukee centerfielder Lorenzo Cain, who has combined an impressive .291/.396/.543 batting line with sterling defense, to account for 2.7 wins entering Sunday. While we’re at it, here’s another trivia question: Which team currently owns the best record in the National League? Again, it’s not who you might guess — the preseason favorite Nationals, Cubs and Dodgers or the fast-starting Diamondbacks, Braves and Phillies. It is, actually, the Brewers, who entered Sunday 33-20, four games up on the Cardinals and Pirates and 4.5 games up on the Cubs. Very quietly, the Brewers have won 10 of their last 13 games and 17 of their last 24, and they’ve got just about everything working for them. Milwaukee’s two offseason additions, Cain and Christian Yelich, have both been excellent at the plate, while holdovers Travis Shaw and Jesus Aguilar have been just as productive. On the pitching side, Jhoulys Chacin and Junior Guerra have fronted a rotation that has been sturdy enough to get the ball to a dominant bullpen, led by fireman Josh Hader and All-Star Corey Knebel. For the second year in a row, the Brewers have pieced together a motley roster that consistently performs better on the field than it looks on paper like it should. Of course, Milwaukee knows first hand how quickly an early lead in the standings can disappear. Last year’s Brewers were 52-41 with a 5.5-game edge in the standings on July 15 but wound up playing sub-.500 ball the rest of the way and finishing 5.5 games back of the Cubs. There’s a whole lot of baseball to play, and Milwaukee could easily tumble over the next four months. With that in mind, it’s worth mentioning that some of the Brewers’ success, such as its 13-5 record in one-run games, is likely unsustainable. Milwaukee looks like a 30-23 team based on its run differential and 29-24 team based on FanGraphs’ BaseRuns formula. That .623 winning percentage (101-win pace) almost certainly won’t last, and that four-game division lead doesn’t appear much safer. In fact, FanGraphs gives the Brewers only a an 11.5 percent chance of winning the Central. But even if it’s far too early to declare the Brewers division champs or hand Cain the MVP award, it’s worth pausing to recognize what Milwaukee has accomplished. Two months into the season, Milwaukee has been the NL’s top team and Cain it’s most impressive player. Maybe you didn’t know before, but now you do.